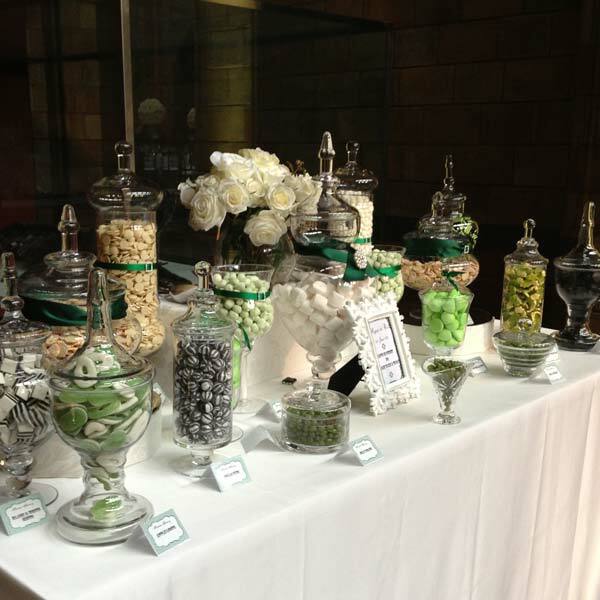 A beautiful wedding that we we honoured to have been involved in at the Natural History Museum in London. 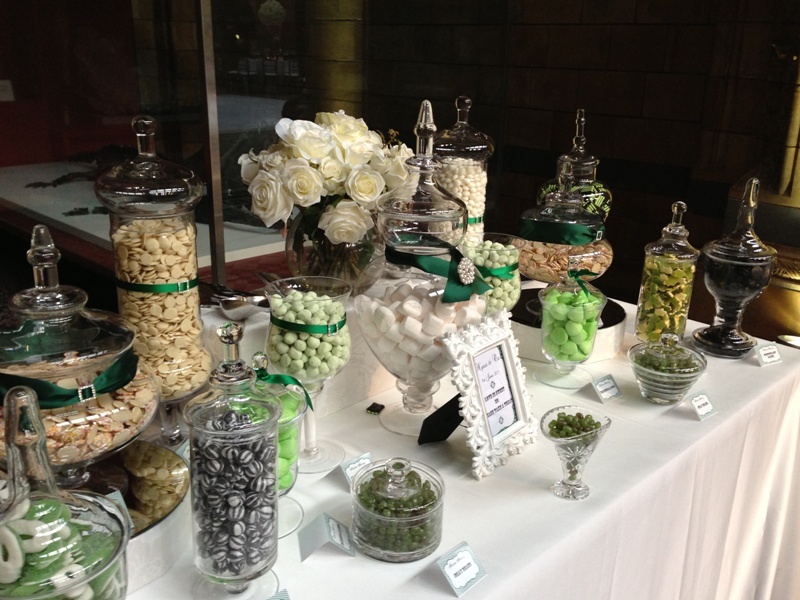 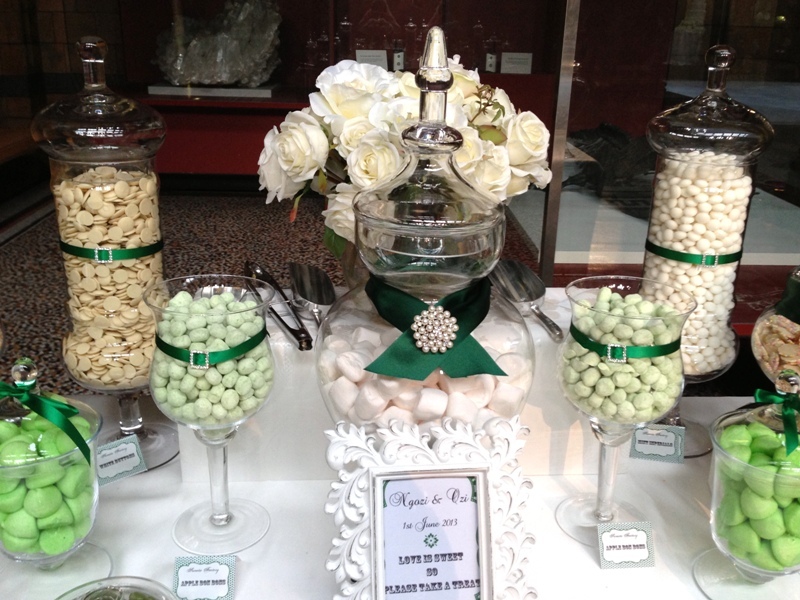 The colours were Emeral Green, Ivory and Black and we also coordinated the sweets to match the colours. 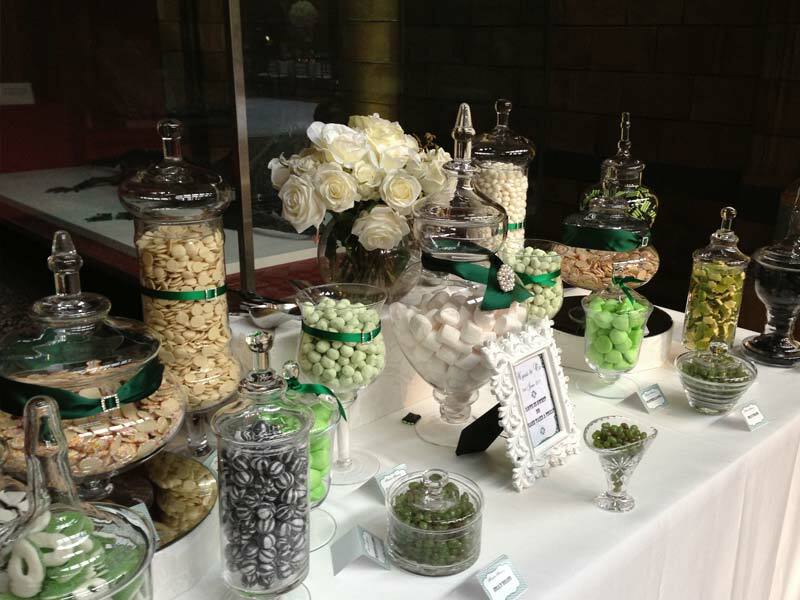 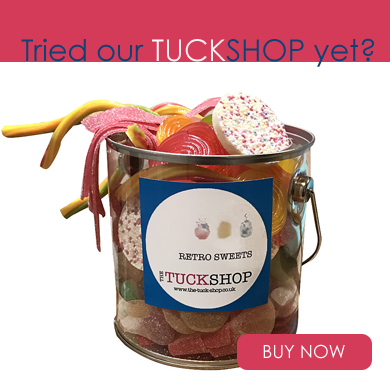 Lots of fun sweets including Apple Bon bons, Apple loops, Black and White Mints, Snowies, and chocolate drops. 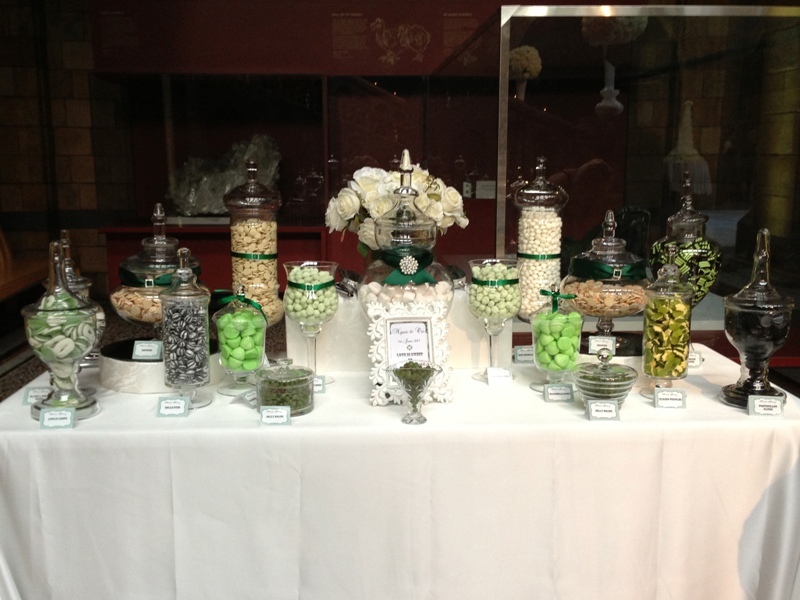 All in all there were over 14 jars of sweets and about 10 different varieties.